In his address to the 2015 ASCL Northern Ireland conference CCEA Chief Executive Justin Edwards sets out why he believes qualifications reform presents opportunities for education professionals and learners alike. "We plan to move away from ICT qualifications and introduce a range of reformed qualifications called 'Digital Technology'. 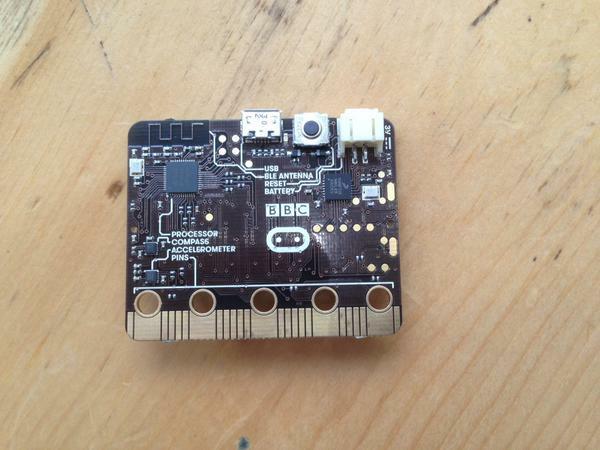 We will be retaining the Software Systems Development qualification and creating a GCSE that provides a pathway to support progression to the GCE SSD qualification"
The BBC has unveiled the BBC micro:bit, a pocket-sized codeable computer with motion detection, a built-in compass and Bluetooth technology, which is to be given free to every child in year 7 or equivalent across the UK. Founders4Schools, one of the organisers of Appathon UK, have been in touch with Generation Innovation to say they are really keen to hear from Northern Ireland schools for this annual competition, which invites young people to think of an idea for an app that they would like to use in their daily lives. School students need to upload brief video pitches of their ideas to the Appathon UK website by Thursday October 9 2014, where the general public will be encouraged to vote for the best ideas. In mid-October, university students will select an app idea from these video pitch submissions, and work to build a prototype during an ‘appathon’ weekend. These apps will be judged in the national Appathon UK competition, and finalists will be invited to celebrate their achievements at an awards ceremony at the House of Commons during Global Entrepreneurship Week. Both school and university students who participate will be eligible to win prizes from Appathon UK partners and prize sponsors. There will be over three million new jobs to be created by the app economy alone in the next five years. Appathon UK hopes to inspire students to create their own solutions to challenges they see around them. The goal of the competition is to encourage students to be creators, not just consumers, of technology - and help to prepare them for the jobs of the future. Michael Acton Smith, CEO of Mind Candy and a supporter of the competition, said of the Appathon, “This is a wonderful initiative that will tap into the creativity of students throughout the country. We can't wait to see what they create and hope we get a chance to work with the creators at Mind Candy." For more information, click to visit the Appathon UK website. What can teachers learn from PISA? iPads in the Classroom -- Kathy Schrock's Guide to Everything. Check out her website for some ideas on using iPads in the classroom. This site contains her own presentations about iPad use for teaching and learning and also includes links to other iPad information pages. Check out the Microsoft Partners in Learning website to see some examples of schools working on their program. "To help you visualise what a learning activity that builds 21st century skills looks and feels like, check out these great learning activities that have high codes on these 21st century skills. Use these examples to spark ideas for your own learning activities".